This is a very big World. Everything has got different names according to the culture & region it is produced in. It is really very much easy to get confused because of different names of the same species. The above mentioned issue is also true for the dill. The exact distinction of the types of dill we will determine exactly in this space based on their scientific names within the botany & their classifications. If we need to refer dill by their common names then we can find around 6 or more different types. 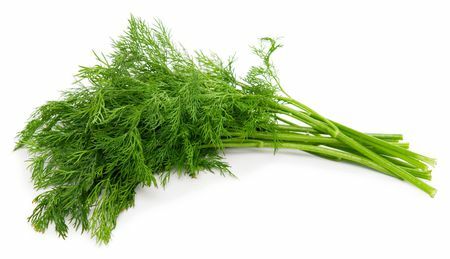 Dill is known as “stinky fennel”. This makes many to think that dill & fennel comes under the same category of plant. It is also called Aneto, False Anise & Anetaveron. People around the World also talk about the garden dill and some of the European dill. Some other are Indian dill, Japanese dill & Korean dill. Some popular culture presents us with up to 9 varieties of grass without mentioning about 5 more. Botany is that field of science that helps us to correctly determine the number of types of dill. Along with the names it also helps to determine that dill is a herbaceous plant of the Umbellifera family that belongs to the genus Anethum and to the species Anethum Graveolens. The scientific synonymy gives several denominations, up to 15, so that, species and genus of Anethum Graveolens 3 variants are distinguished. The first of these varieties is Anethum graveolens var.Graveolens, which is the so-called common dill or European dill. Secondly we have the Anethum graveolens var. Hortorum Alef., or garden dill, which stands out for the percentage of carvona, which is present in its essential oil. The last one is the Anethum graveolens susp. sowa, called Indian dill or Korean dill, with a great resemblance to garden dill being much less aromatic and containing apiol and carvona.